An image of a finished work! But a note on such patterns: This piece is made from a kit. One of those that contain material, patterns, colour chart, needle and floss. Know the feeling of “will I have enough?” Well I didn’t. One colour ran out too early, and not from squandering. Thankfully I did this piece for a friend who had more floss of the correct colour. Because thankfully the pattern listed the colour’s specific shade number, and so I could call her and have her send the extra floss. But what a hassle! Never, never, ever let such things pass with the company behind the kit! This blog will be dedicated to my most time-consuming pastime: Handicrafts. All sorts. 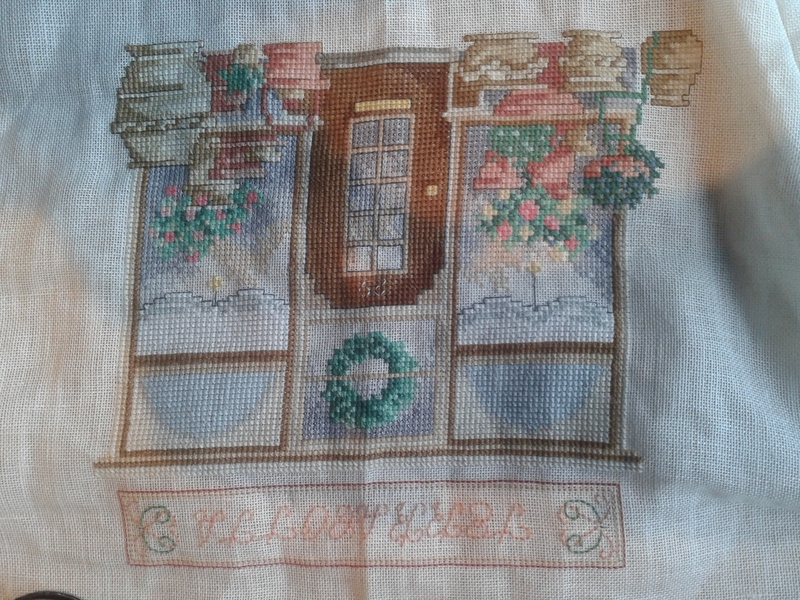 This week it´s counted cross stitch. Know how people say you should practice ten thousand hours to become an expert at something? No need with this craft. The first 100 stitches alone will make you able to do it really well. Ten thousand stitches will give you expertise. But nothing will get you past the point of having to look at your embroidery. All the time.